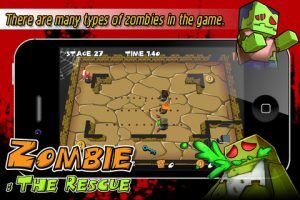 Published byGOGN Entertainment, Zombie: The Rescue is an addictive 3D puzzle romp through 60 zombie-infested stages. 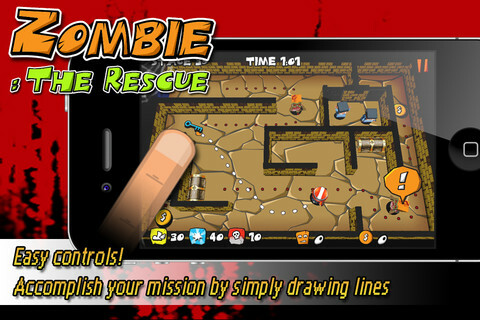 Use your character to guide the helpless hostages to safety, collect the coins and make your way to the exit – all without being seen by the patrolling zombies. If a zombie sees you then things get messy, quickly. Zombie: The Rescue is both a game of stealth and action, set in a gorgeous 3D environment. 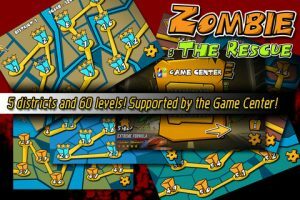 The key to succeeding is patience and timing – you’ve got to make your run when the zombie’s back is turned or blast them away with some anti-zombie firepower later in the game. The control interface is dead-simple, simply tap on your character, then drag a path for him to walk. A dashed line will appear where he will walk when you release your finger. 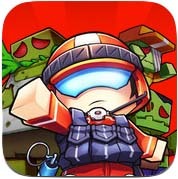 Its a great way to plan your strategy while hiding from the zombie guard-masters. 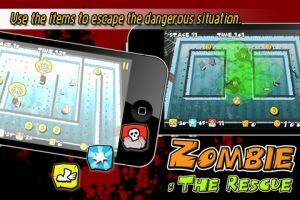 Featuring 5 distinct ‘districts’ and multiple zombie and hostage types, Zombie: The Rescue will keep you guessing as the levels progress. Each mission increases in difficulty, with higher numbers of hostages to rescue and zombies to avoid, or trickier situations to make you think. Later stages introduce keys and various items that need to be used selectively to make it through the mission in one piece. At the end of each round you’ll be awarded a result out of 3 stars for your performance, with scores based on hostages rescued, coins collected and the time taken to complete the mission. Full GameCenter integration rounds out one of the best puzzle games we’ve come across in recent months. 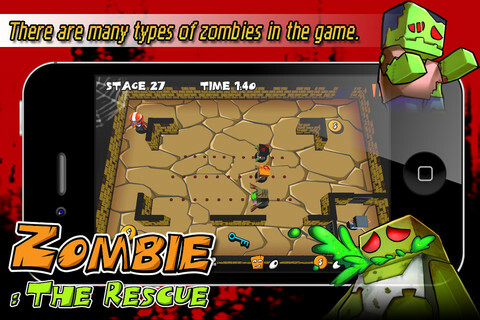 Zombie: The Rescue (iTunes Link) is compatible with iPhone, iPod touch, and iPad.Requires iOS 4.1 or later. A small expedite fee was paid by the developer to speed up the publication of this review.